Jeep Wrangler-Based Pickup is Happening! Not only is production of the Jeep Wrangler staying in Toledo, Ohio, but they will also be starting production of a Wrangler-based pickup in 2017 or 2018. Could it be a retro of the CJ-10? Excuse me while I get all crazy excited over here. That alone could make me want to lease one! Hush. I’ve had crap used cars my whole driving career and I’m currently leasing. To be completely honest, I’m perfectly happy with a new car every three years. Now, back to what matters – the Jeep! FCA is moving production of the Cherokee to, most likely, Sterling Heights Assembly in Michigan and will be building the un-named Wrangler-based pickup alongside the Wrangler. For the current moment in time, FCA is in talks with UAW, whose contract is up September 14. Once talks are over, details will be released about the new pickup. OMG, I so hope it looks like a retro CJ-10! Wait, I already said that, didn’t I? Oh well, it’s the truth. Also, I get a little distracted when I get excited, kinda like a kid, it happens. The Cherokee plant is a unibody plant, so that will have to be converted to a body-on-frame plant, and the pickup would launch there. FCA has a plan that would all but guarantee production would continue while the plant is done over for the redesigned 2018 Wrangler. Production of the two – the Wrangler and the pickup – is planned to reach 350,000 per year, according to suppliers who have been given a heads up on the plan. Conversion of Toledo to an all body-on-frame plant will also allow for a retooling of Warren Assembly in Michigan – home of the ever-popular Ram 1500 pickup. This entry was posted in Automakers, Jeep and tagged jeep, Jeep Wrangler-Based Pickup, pickup, Toledo Plant, wrangler. Bookmark the permalink. 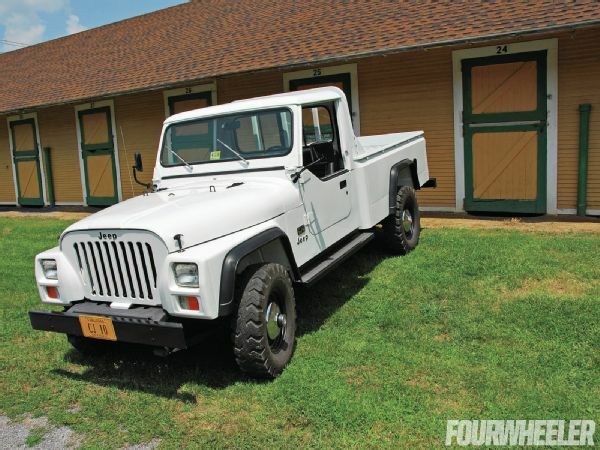 Love the Wrangler truck idea….long overdue. Now just keep the Cherokee going on past Michigan and send it out of production until they fix that ugly thing! You must enter in a contest for the greatest blogs over the internet! Your website is fantastic, and articles are excellent! open transport, enclosed transport, motorcycle transport, RV transport, Boat Transport, Flatbed, Heavy Hauling and Freight at the most economical rates.